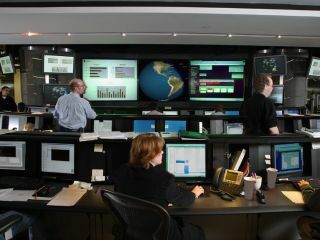 Security vendor Symantec says the "landscape" of security threats is changing from personally-motivated hacks to organised crime. Lee Sharrocks, Symantec's UK consumer sales director, told Tech.co.uk in an interview that the "threat landscape has changed from hackers doing it for personal reasons to crimeware". Symantec has also released data showing that consumers want more assurance of their security when buying or banking online. Research by the firm says that 66 per cent of consumers believe making online transactions puts them at increased risk of online fraud. Some 30 per cent of respondents said that internet security threats prevent them from making more online transactions, whether buying, selling or making use of services. Today's threats are "much more based around someone's identity," said Sharrocks. "Users take it for granted that a security company is going to protect you from traditional threats. "People now need the confidence to go online and do whatever they want to do, so they're looking for software that protects them against more than just traditional threats." Sharrocks said Symantec is currently in a "mid-phase of combining products and technologies" as it moves away from its dependence on traditional box-shifting. Like other security vendors, it now offers updates through a subscription model. He also pointed out that 52 per cent of respondents said they felt more secure if they had active security on their PC. Sharrocks urged consumers to look for the 'http:' in the web address and a padlock in the status bar when using secure sites.